Want to be the first to book on this huge project? Design and high standardization characterize the future construction of the premises and apartments of this building. It is located in Clot d 'Emprivat, in the center of Escaldes - Engordany. 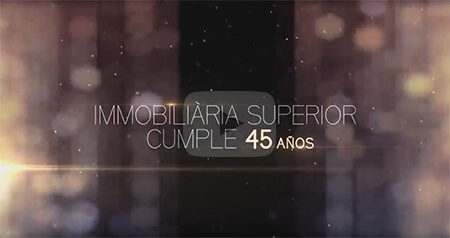 At the Superior Real Estate, located in Andorra la Vella, we have had a long and successful career spanning more than 45 years and focusing on the purchase and sale of properties. Our best guarantee is the trust and satisfaction bestowed by our own clients. There are many possible reasons in the decision to buy, sell or rent a house, chalet or villa: investing in a property, fulfilling a dream or satisfying a need. Each of these reasons deserves personalized treatment and this is where Superior Real Estate is different. We have valuable experience in luxury properties for sale: houses, chalets, villas, flats and apartments. Therefore, we have our professional services at your disposal: together, we will find the chalet or villa for sale that you are looking for. In Superior Real Estate we buy and sell the best luxury flats, apartments and houses. Do you wish to find a chalet for sale in Ordino? Or are you thinking perhaps of buying a villa in downtown Andorra La Vella? Is it your intention to buy a house in Sant Julià de Lòria, in a tranquil place near Spain and Andorra La Vella? 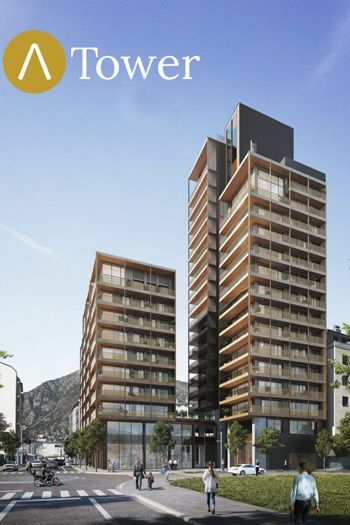 In Superior Real Estate, in Andorra La Vella, you will get personalized advice. Our featured properties: luxury flats, villas and other properties for sale. Apartment for sale, in a 3rd floor located at Ctra General go to Erts (La Massana). Apart from a great variety of houses and chalets, we have at your disposal a wide range of real estate special offers. Luxury buildings and apartments located next to the ski slopes, with design or wood rustic finishes; flats equipped with gyms and relax facilities, car parks and ski-storage rooms; apartments in peaceful areas, with views and verdant gardens… Do you want to find out more about our offers? Apart from luxury houses, flats, villas, apartments and chalets for sale, from our Superior Real Estate office in Andorra La Vella, we offer comprehensive advice about property investments and offers, paperwork and procedures to buy and sell properties.